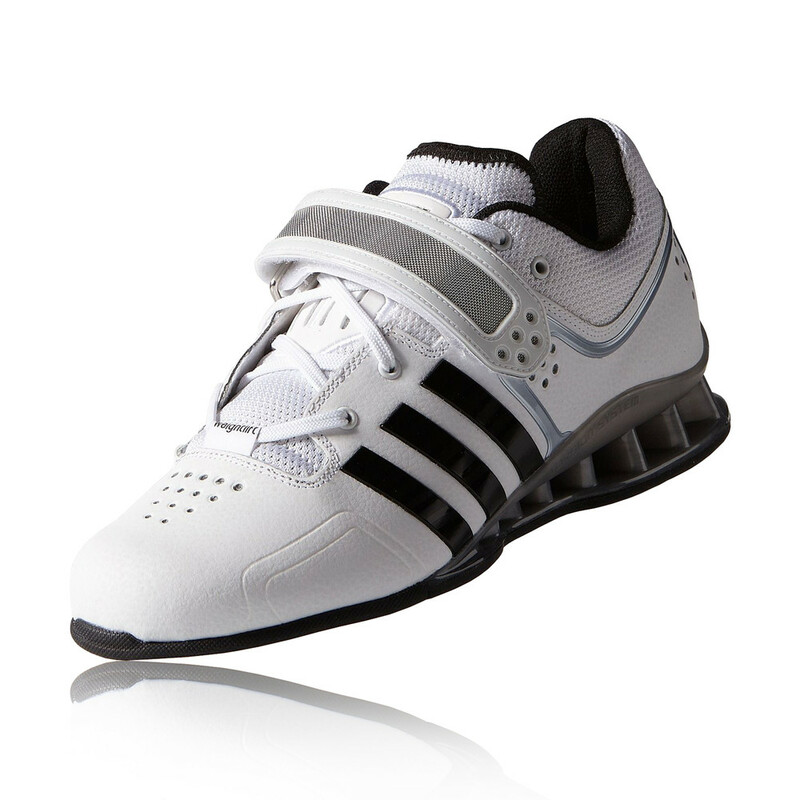 adidas adiPower Weightlifting Shoes have a breathable air mesh as well as VentFlow outsole openings which help to create a more comfortable foot climate. The polymer wedge helps to create lightweight stability and the single instep strap provides further support. 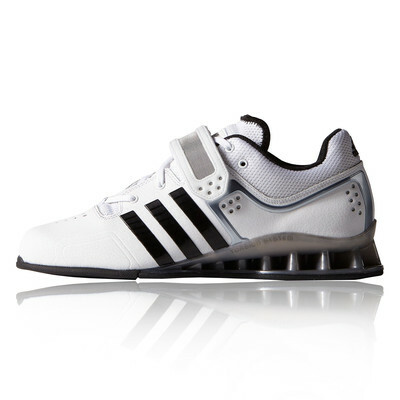 "Excellent service and speedy delivery"
These adidas adiPower Weightlifting Shoes are designed with a PU-coated Leather upper, this ensures durability throughout the shoe. There are also breathable air mesh holes throughout the shoe which help to increase the level of airflow the foot receives. This makes for a more cool, dry and comfortable wear. There is a single instep strap which provides additional rearfoot integrity, meaning that the foot is able to be more supported and stable during a work out. The lining is a soft, comfortable fabric, making for a more enjoyable wear. TORSION® SYSTEM technology is used through the midfoot to help the shoes flex correctly, allowing the toes and heel to move independently. 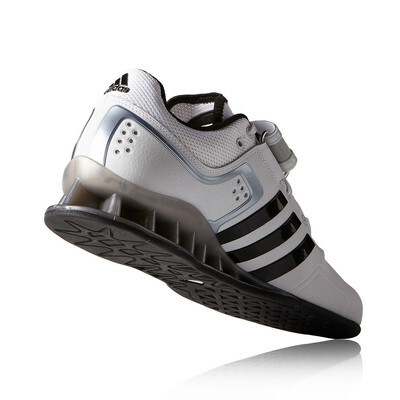 There is further heel support to help create lightweight stability. 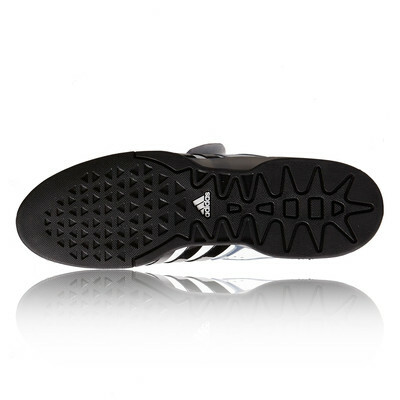 There is a polymer wedge which is 24mm at the heel and 4mm at the forefoot. The ADIWEAR™ outsole offers the ultimate in high-wear durability while the VentFlow outsole openings help to create a more comfortable foot climate. 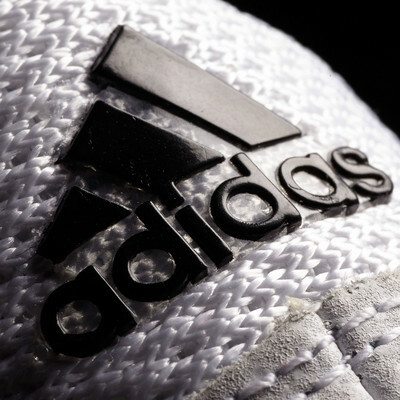 The polymer is lightweight injected for structural strength through the design, specifically engineered for weightlifting.